Over the past few years, the health savings account (HSA) has increasingly been referred to as an exceptional retirement savings option. But what exactly are HSAs, who is eligible to open them, and what makes them so great? And—most important—how can you, as an advisor, get involved in the HSA business? An HSA is a tax-advantaged account that can be used to pay for specific qualified medical expenses. Unlike flexible spending account (FSA) funds, which are designed to cover current out-of-pocket medical costs, HSA funds never expire and can be used to pay for health care expenses before and during retirement. Generally, contributions to an HSA are tax deductible, the earnings accumulate tax deferred, and withdrawals are tax free as long as they’re used to pay for qualified expenses. Qualified medical expenses include lab fees, prescription drugs, and dental and vision care, as well as the cost of out-of-pocket health insurance deductibles. If clients withdraw funds from an HSA and do not use the money for qualified medical expenses, the withdrawal will be subject to a 20-percent penalty, in addition to income tax. After age 65, however, distributions not used for qualified medical expenses aren’t subject to the 20-percent penalty. In 2018, the HSA contribution limits are $6,850 for a family account and $3,450 for an individual account. Clients who are 55 or older may make an additional catch-up contribution of $1,000 per tax year. Contributions to an HSA can be made for the current tax year any time prior to the tax-filing deadline of April 15. In addition to their triple-tax-advantaged status, one of the biggest benefits of HSAs is that there is no time frame during which the funds have to be used. As mentioned previously, money in FSAs must be used to cover current out-of-pocket medical costs, and funds not used in one year may expire. HSA funds, on the other hand, never expire, so they can be used to pay for health care expenses now and during retirement. As such, many financial practitioners recommend that clients use current cash flow (or FSA funds) to pay for out-of-pocket expenses while maximizing contributions to an HSA and letting the funds grow tax free. According to a 2017 study by Fidelity, a 65-year-old couple retiring in 2017 would need $275,000 to cover health care expenses throughout their retirement—a 6-percent increase over the 2016 estimate and a 70-percent increase since the study’s inception in 2002. Because the cost of health care in retirement is growing so significantly, it can be among the largest expenses retirees face. HSAs can be an ideal retirement savings option to prepare for those expenditures. In order to establish an HSA, your client must be covered by an eligible high-deductible health plan (HDHP). For 2018, this is defined as a plan for which the family’s annual deductible minimum is at least $2,700 ($1,350 for an individual), and the annual out-of-pocket costs are limited to $13,300 for family coverage ($6,650 for an individual). Clients can confirm with their health care benefit provider whether their plan is considered an HDHP that is eligible for an HSA. They are enrolled in Medicare. They are claimed as dependents by another taxpayer. Contributions to an HSA may be made by clients or by their employers. Employer contributions made through a cafeteria plan are generally not income taxable to the client. Client contributions to an HSA are considered “above-the-line” deductions. They can be claimed without itemizing, which is particularly important given the dramatic increase in the standard deduction under the 2017 Tax Cuts and Jobs Act. How Can I Help My Clients with an HSA? To help your clients get started with HSAs, you’ll first want to look into the specific offerings available at your broker/dealer. Depending on the firm you work with, your broker/dealer may or may not allow the opening of HSAs; if it doesn’t, there may be other options to consider to help your clients create their accounts. At Commonwealth, for example, our advisors can use our Wealth Management Consulting program, which allows them to charge hourly or flat fees for providing consulting services under our corporate RIA. So, an advisor could suggest that his or her clients visit HSA Search, a website where they can search for HSA providers by feature—investment options, online banking, and so on—and then compare providers’ fees and ratings. If a client elects to open an HSA with a provider that offers investment options, the advisor could help with asset allocation and be compensated for his or her time through the Wealth Management Consulting Agreement. HSAs offer a unique planning opportunity for clients who are eligible to contribute. Their triple-tax-advantaged status makes them a perfect retirement savings option to help clients prepare for the rising cost of health care in retirement. And if you’re able to guide your clients through the process, HSAs can provide a boost to your business as well. 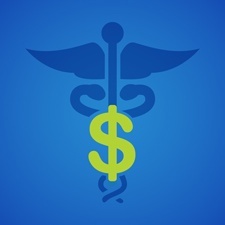 Are HSAs popular with your clients? How do you help your clients leverage HSAs as a retirement savings option? Please share your thoughts with us below!